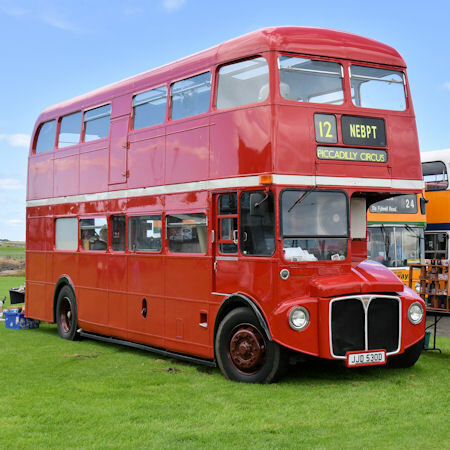 This event will feature a selection of historic vehicles on display, trade stands, amusements for all and two free bus services around the local area. The first will depart from outside the top gate and the other from the old tram shelter opposite the bottom gate. CPJ 404 1935 Armstrong Siddeley 17hp Sports Foursome Ian Tunnicliffe There were only 482 of this model manufactured and there are only 3 still in existence. This car had a complete body off restoration that took nearly 5 years to complete. The restoration was finished in January 2016. HKL 826 1946 AEC Regal I, Beadle OB35F North East Bus Preservation Trust Ltd An unusual open-top conversion of a Beadle bodied AEC Regal bus, new to Maidstone & District and restored in their livery, Acquired by the late Christopher Moyes from Guide Friday, now in the care of NEBPT. 437 JBU 1955 Series 1 Land Rover Stuart Edwards Series 1 Land Rover. 86 inch wheelbase, 2 litre Petrol. Canvas tilt. Combination with 1956/7 Willerby Vogue Caravan, 1 of 5 remaining. HDV 641E 1967 Bristol MW6G with ECW C39F body Phillip Clark The last MW type built. 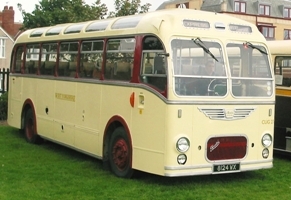 New to Western National (Exeter) and used from 1970 in the Royal Blue express coach fleet ; sold in 1977. Currently displayed in West Yorkshire livery. 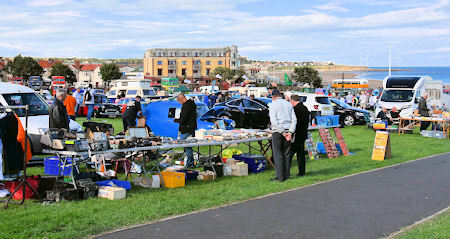 This will be the first visit to Seaburn Rally under new ownership. GDX 540T 1974 Mercury Montego MX R L Hauxwell (Snr) 5.8 V8 3 Speed Auto. Twin mufflers. Holley 4 Barrel Carb. Came to UK in 1979. As far as we know and the DVLA, it is the only 4 door sedan of this model in the UK. WKH 526X 1981 ECW bodied Bristol VR Hull Bus Restorers The penultimate Bristol VR delivered to East Yorkshire.